We exclusively hire top-notch drivers who have a passion for the transport industry. Every team member behind the wheel of a Covert Logistics vehicle has a vested interest in ensuring your transport needs are met accurately and on time. Leanne started as an employee without any previous knowledge or experience in transportation. 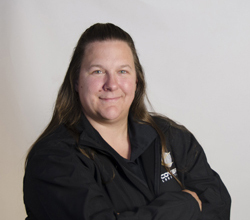 Since joining Covert, Leanne has elevated her experience and honed her skills as one of our professional drivers. Leanne has completed training in car, van, 1-Ton, 5-Ton vehicles and has some tractor driving experience. Her greatest accomplishments include air brake safety training and load securing practice. Tractor training is the next step, while assisting in almost every other facet of daily Covert driving duties. We are very proud of Leanne and her reliability and a true professionalism are a reflection of our team. 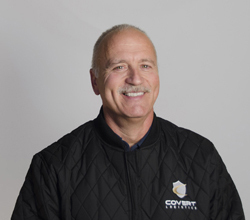 Terry brought over 30 years of driving experience to the Covert team. His services were acquired through the acquisition of another transport company and we are fortunate that Terry continues to offer his industry expertise to all Covert customers and staff. Terry's unparalleled experience in many transport applications is a welcomed asset to the Covert team and he continues to develop as a driver and work within our client group to deliver the best transport services in Winnipeg and Manitoba. 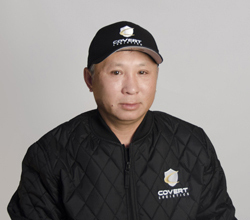 Bounthae (Tay) joined Covert Logistics with over 10 years of previous driving experience. He has an intricate knowledge of in-city deliveries and customized service deliveries across Winnipeg. Tay is a versatile driver with detailed experience in the operation of cars, vans and 5-Ton applications as well as delivery assist equipment such as power tailgate-railgates, power pallet jacks, rollers and many other custom delivery applications. Tay communicates directly with Covert staff and customers to ensure efficient delivery modelling. Tay brings a fantastic work ethic and professionalism to the Covert team that inspires us all to go above and beyond every day.